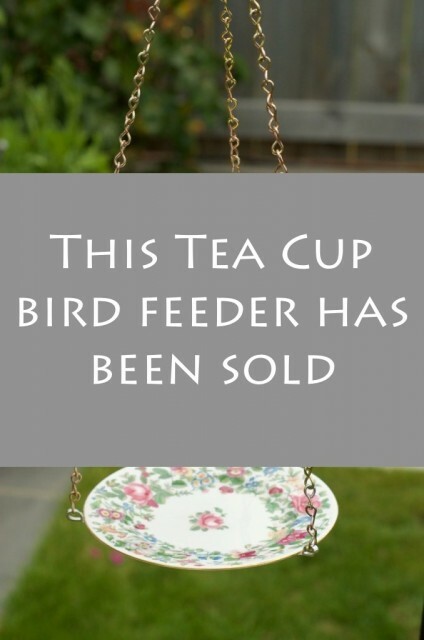 Tea Cup Bird Feeders || Carole Rendle of Nelson is the heart and soul behind selling the tea cup bird feeders. She sources the tea cups and other resources, creates the masterpiece and spends her time selling them. Whether you purchase a $20 tea cup or a $30 trio bird feeder – the whole amount is donated to the Hope for the Children fund. We are so grateful for Carole’s vision and passion to support children to receive counselling without the financial barrier. 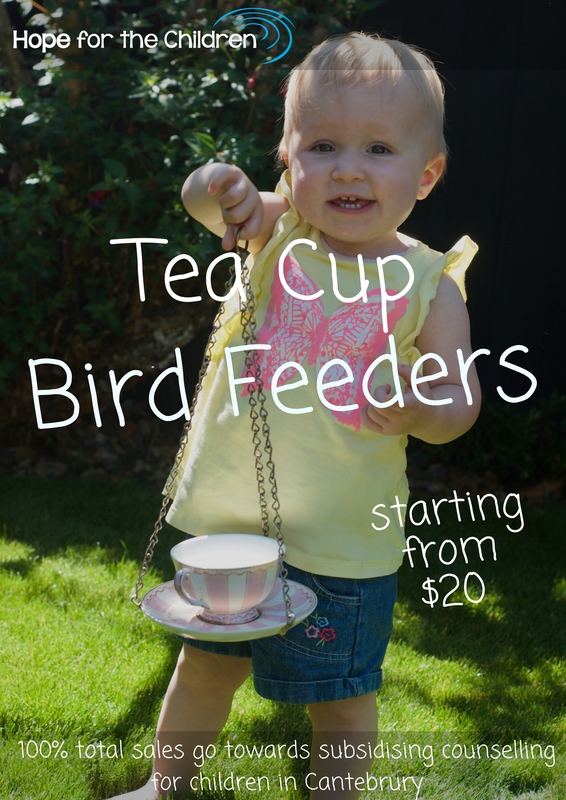 Below is a list of Tea Cup Bird Feeders we have available for you to order. We will ship anywhere in NZ ( shipping $7.50 ) – When you fill in your details, please let us know what bird feeders you would like.